Deployment on Kubernetes using Kubectl. We can deploy containerized applications on that. To do that, we need to create Kubernetes Deployment. This deployment is responsible for the creating/ updating instance. Once deployment has been created, Kubernetes master will schedule the application instances that the deployment creates onto individual nodes in the cluster. Once instance are created, Kubernetes Deployment controller will monitor the application instances continuously. If the instance down or deleted, Deployment monitor will replaces it. This is called self healing, which will help to address machine failure or maintenance. In some other cloud technology, installation script will be used to start the applications. But, it will help on recovery from the system failure. In kubernetes will provide different approach by creating and running application instance on different nodes. We can create and manage deployment by using Kubernetes Command line Interface (Kubectl). Kubectl will use kubernetes API to connect with cluster. gcloud compute copy-files node0:~/admin-key.pem . gcloud compute copy-files node0:~/admin.pem . gcloud compute copy-files node0:~/ca.pem . application image location and port number. In default case deployed applications are visible inside of kubernetes cluster, before exposing. terminal and kubernetes cluster using proxy. Started proxy enables access to the API. The applications running inside the pod. Get the pod name and store it in the POD_NAME environment variable. Note: Will see more application related things in future post. Provides scalable computing and Will reduce the Hardware investment. You can develop and deploy applications faster as you can.We can configure security, networking and storage. AMI Templates are used when launching the machine. high memory, availability, on domain instances, reserved instance for a particular time, cost instances. It’s a opensource and will handle highly available cluster of systems that are ready to work together as connected. It will allow you to deploy containerized applications on individual systems. Containerized applications are flexible and available comparing to the old deployment methods. Kubernetes will automates scheduling and distributing applications across the cluster in the way of more efficient. Master will coordinate such as scheduling, managing, Scaling, Updating and roll out applications. Kubernetes cluster will handle of production traffic with three nodes. This might be physical/ VM nodes where the application are running. This has kubelet agent which will help to manage and communicate with Kubernetes master server and also nodes have Docker and rkt which will help to handling the containers. On deployment of applications, master will schedule and start the application containers on nodes. Nodes will communicate with masters using Kubernetes API. Users also will user Kubernetes API to interact with cluster. Kubernetes cluster can be deployed on your local or VM machines. We can use Minikube which will create a VM and implement one node cluster on your local machine. Minikube CLI will provide basic operations on your cluster like start, stop, status and delete. To install Minikube on Linux box, we must need Virtual box/ KVM. 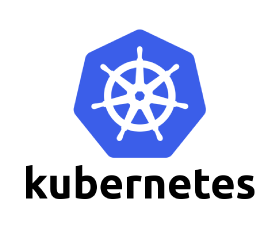 If you are totally new to Kubernetes, you also need to download kubectl client, This is will communicate with Kubernetes API to manage containers. Note: Here I’m using Kubernetes interactive tutorials. So, required package has been already installed. Use the below command to check kubectl is configured or not to comminucate Minikube VM. To further debug and diagnose cluster problems, use ‘kubectl cluster-info dump’. Using this will automate the deployment, scaling, management of containerized applications and etc. It will create containers which will help to easy management and discovering applications as logical units. As its a cloud system, it can be accessible from anywhere. It will support on-premise, hybrid and public cloud infrastructure. It will reduce ops count for operations. We will help you to know the basic of kubernetes cluster system with background, concepts of kubernetes, Deploy a containerized application, Scale the deployment, Update and debug the applications. 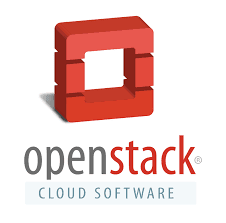 Will talk about Cloud – Open Stack in this post. Cloud is loaded terminal. Cloud is convenient, on demand network access to a share pool of configurable computing service. that include application/services. Private Cloud will provide all basic benefits of public cloud like below. 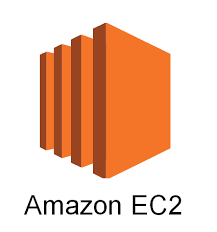 Service and scalability, multi-tenancy, ability to provision machines, changing computing resources ondemand and creating multiple machines for complete jobs. In this cloud type limited people only will able to access web based apps/websites. We need staffing system and will be handled and managed by third party service. To reduce implementing Rack space and VMWare by deploying private cloud. its available in public over the internet. This service could be a free a service or payable service. Expense is low because of provider will pay for hardware,application and bandwidth. In hybrid cloud organizations will deploy their apps in Private and Public cloud both. So, it’s maintained by both provider internal and external. Dynamic or changeable applications using this module cloud. Application might be deployed in private cloud and it will access public cloud resources when the computing demand is high. To connect Private and Public cloud resources, hybrid cloud is required.